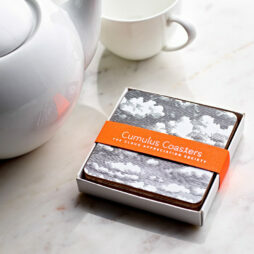 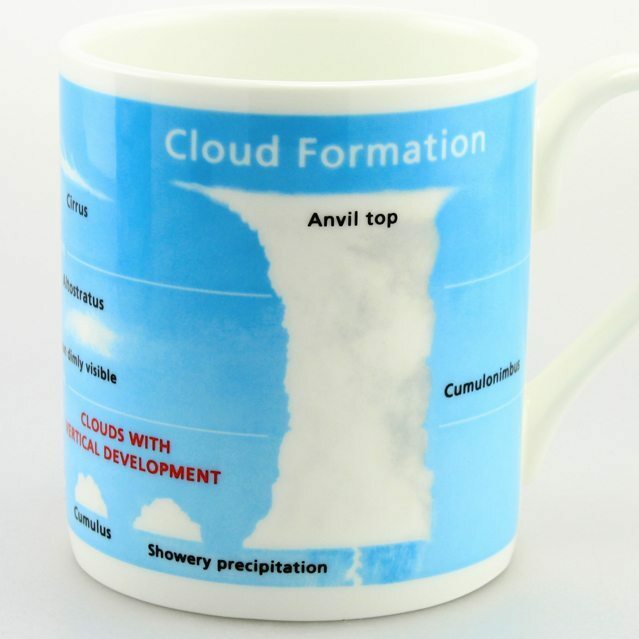 Learn the main cloud formations every time you take a sip of your tea or coffee. 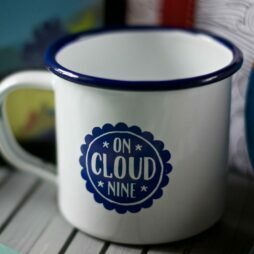 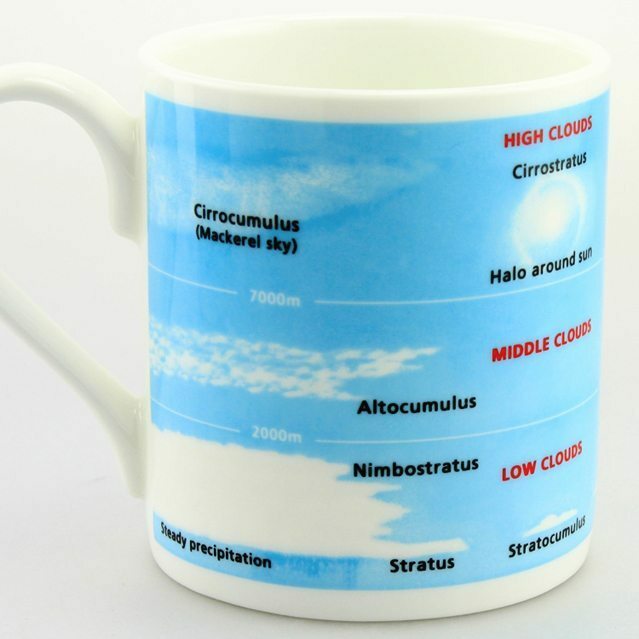 This classic cloud formation mug shows the appearance of the ten main cloud types, as well as indicating their general elevations and typical precipitation. 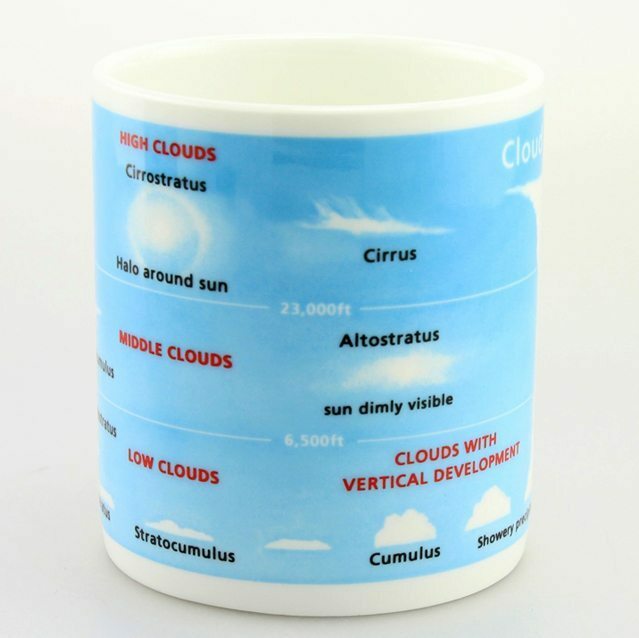 This is a larger width of mug than the standard: 90 mm in diameter (3.5ins), with a capacity of 500ml (17oz). 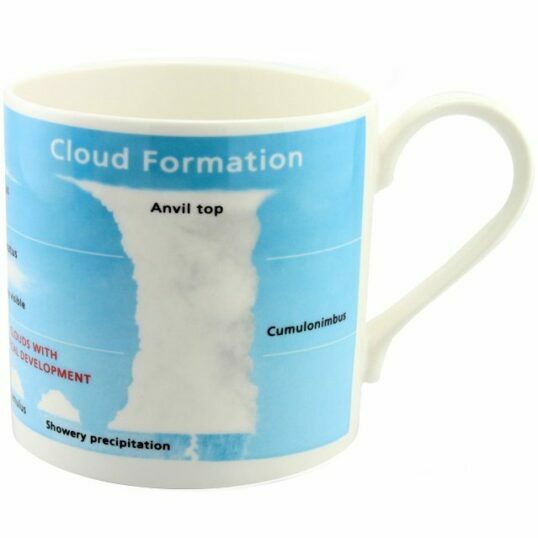 We love this classic educational mug, which is printed in the UK.